Ananya reacts on he missing locket and tries to run to get it back but Madhav shooth her & she falls down. Kabir tries to help her but Desu hits him on head and he gets unconscious. Panditji and KKN is planning a protest against the release of the movie. Desu and Madhav gets into an argument. 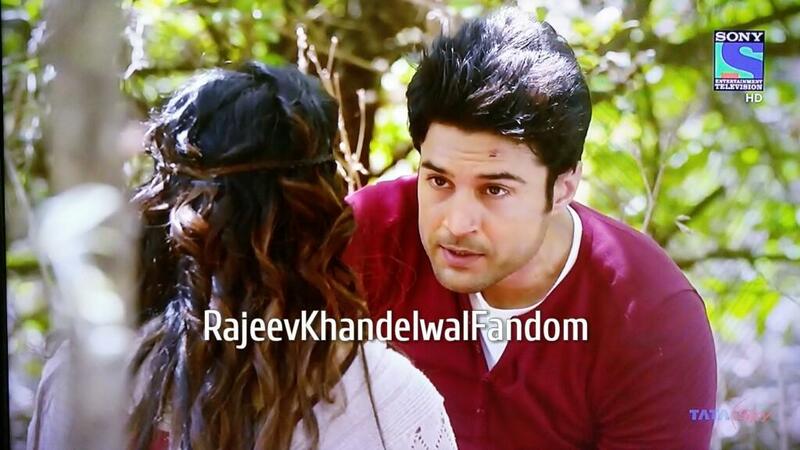 Kabir tries to clam Ananya, who tells him about his dad and ask for his help to find him. Kabir tells Ananaya that her eyes are beautiful but the specs doesn't suit them. Ananya is mesmerised and keeps looking at him when he gets close to her and takes off her specs. Ananya is still in trance when Kabir breaks her glasses by his knees. He tells Ananya to turn back, Ananya cribs that they are already in danger but Kabir is impossible to understand. Kabir smiles and tells her that if they want to get out from this captivity she should stop using her brains. He cuts her rope with the glass piece from her specs, but before Ananya could untie him Madav comes there with his people & tells them that their government has decided not to stop the movie release so they should now be ready to die. 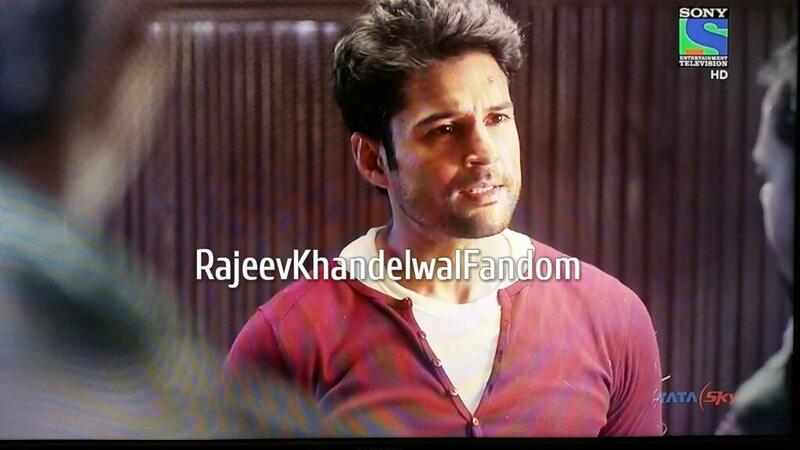 Kabir and Ananya are shocked and Kabir asks him if the news is in the media. Madhav says that media is corrupt and all have decided not to do anything, so now its time for him to start the blood shed. Kabir tells Madhav that he iif he thinks that by killing them he will get his rights then he is wrong because he is not fighting fro his rights. He tells him that he is not doing this because he cares for his people and their well being and in reality he doesn't care about them at all. Madhav tells him to worry about himself as he is the one who is going to die. Kabir tells Madhav that along with himself he cares about the people who is with Madhav as they are innocent people and are tagged as a criminal because of the crimes done by Madhav. Hetells him that he has become a power freak and now works only for money and power not for his people. Ananya aska Desu if he had a family, he tells her that he had a daughter who was killed. 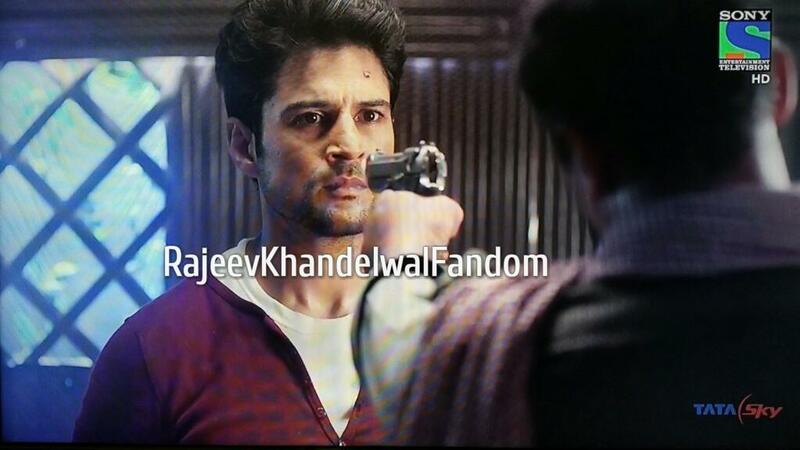 Desu supports Kabir and tells Madhav that every one is ruined in this violence. Even when the new Govt. was giving them lads he didn't take it and continued this blood shed. While they were busy arguing Kabir takes chance and unties his hands which was already loosened by Ananya. 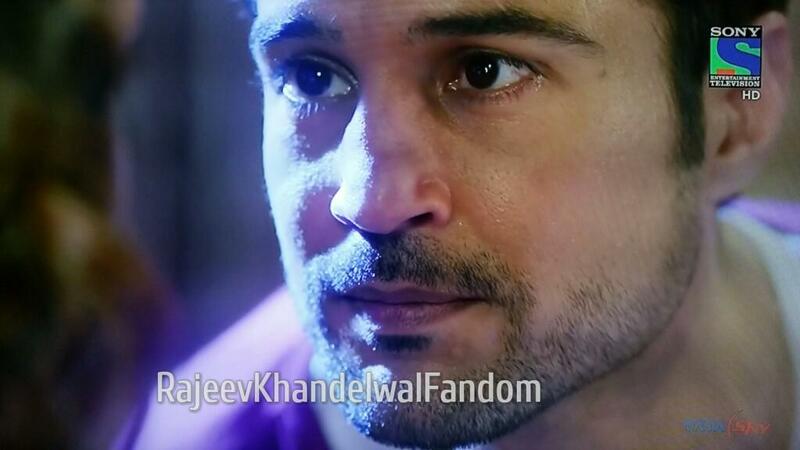 Kabir tells Madhav to let him go, he will fight for them and if he doen't believe him he can keep Ananya as a guarantee. Ananya was shocked and asks him if he would go without her. 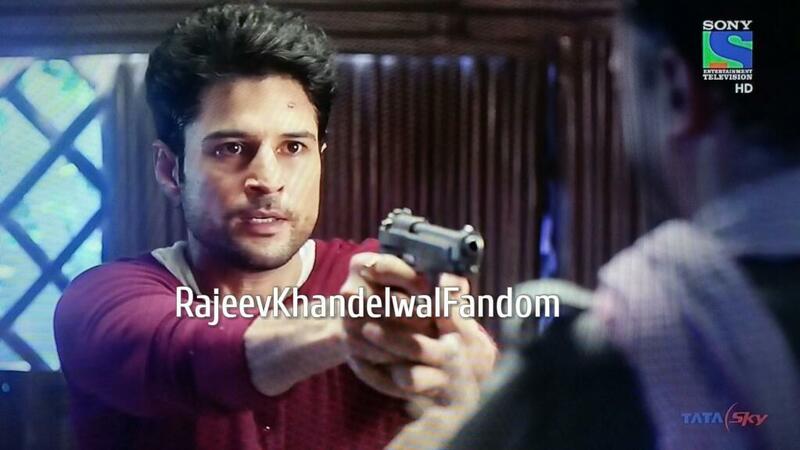 Kabir tells her they don't have any other option. Madhav is not ready to believe him while Desu says this could be their only chance to return to normal life. 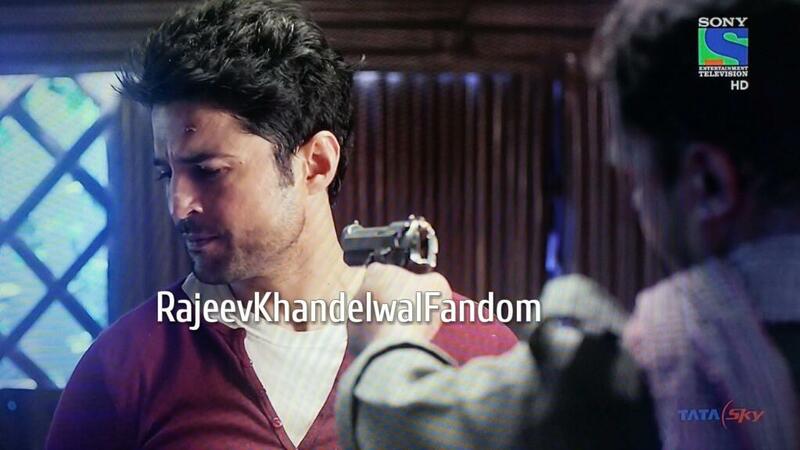 In all this chaos Kabir takes gun from Madhav Nath and tells Desu to come with him. He locks Madhav and his men on the hideout and tells Desu that whatever he has promised them was true and he will try his best to get justice for them and their people. He returns gun to Desu saying the he doesn't need it. Desu tells him the way to get out of the jungle, Kabir asks him to come along but Desu tells him he knows what he has to do and runs in the opposite direction. At KKN Khalid tells every one that the release of the movie has been postponed for next week and now they have some time to rescue Kabir & Ananya. In the jungle Kabir and Ananya are tring to get away from the Naxals as fast as possible. Kabir tells Ananya that they will have to get out of the jungle before sunset else they will be stuck there for the night. Ananya tries to catchup with Kabir but falls down and hurts her leg. Kabir tries to soothe her sprain but she screams and the Naxals hears her voice, Kabir Takes her and hide behind a huge log. Ananya is scared and holds him tight. KAbir is lost in her for a moment and then to lighten the situations tells her if she hold everyone so tightly, when scares, or is it just him. 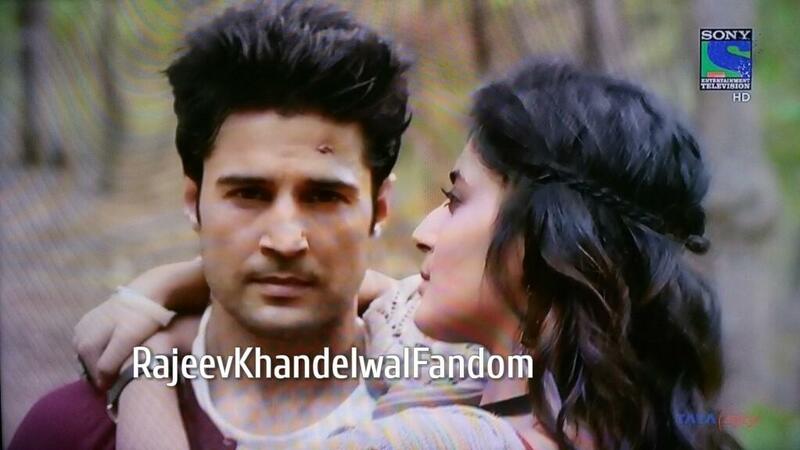 Ananya leaves him and Kabir looks for the Naxals who were gone by then. KKN telecasts the news of the movie release being postponed. 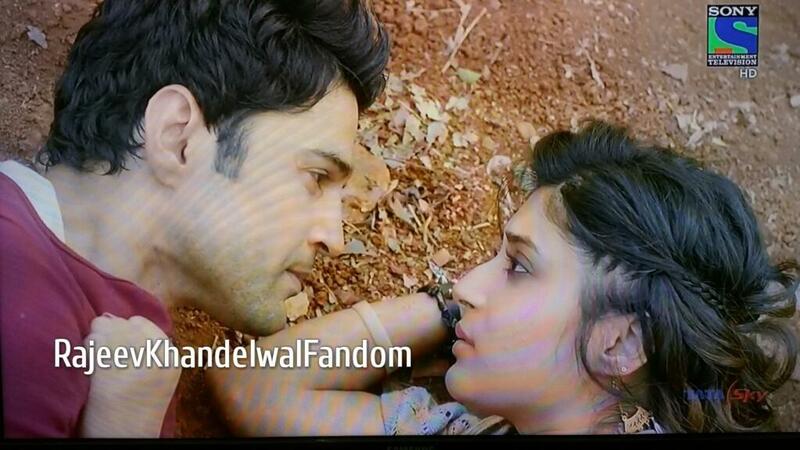 Ananya tells Kabir she cannot walk any more and he should get out of the jungle without her. In the next scene we see our hero walking with Ananya in his arms. I loved the background music they had from them this time. As always Rk was fab and his walk stole my heart. Man this guys has that attitude in him that can make anyone crazy about him. Some times I feel Ananya's expressions are all real. 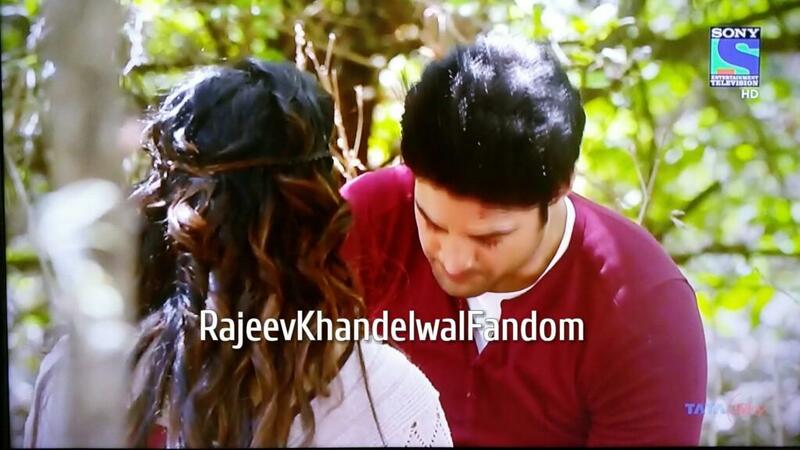 I mean when Rajeev Khandelwal has you in his arms who need to act anyone will be smitten by his charm. So here comes Veer of Ananya. Kabir tells Ananya that she should loose some weight and all his heropanti is now gone. 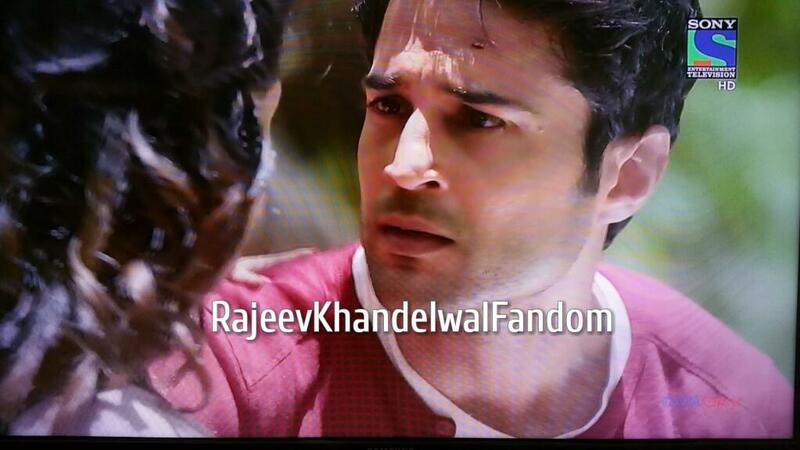 Ananya tells him to keep her down, Kabir says he was kidding but Ananya doesn't listen. Madhav Nath comes there with his men and tells them to get ready to die. Baadal Chatte hai, kohra uthta hai, har kaali andheri raat ke bad saavera hota hai. Kabhi kabhi hume jo ant lagta hai wahi se ek naya adhyay shuru hota hai.